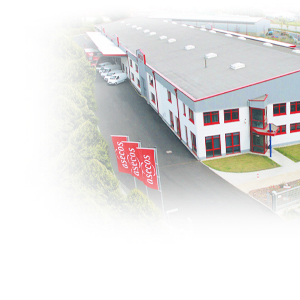 current news and information about our company and products! 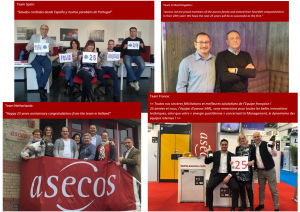 11 Apr 2019 Company anniversary: Today, asecos has its 25th birthday! 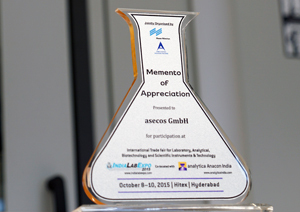 We would like to thank our international teams of asecos S.L. in Spain, asecos Ltd. in the United Kingdom, asecos SARL in France and asecos BV in the Netherlands for congratulating us on our company anniversary! We are proud of our team and of our quarter-of-a-century company history, over the course of which one thing has always been at the forefront of our endeavours: ensuring your health and safety in the workplace. As experts in the storage of hazardous substances, asecos was the first company to develop type-90 safety storage cabinets, bringing these to market in 1994. In April 2019, our official anniversary month, we are offering two attractive prizes to two different winners! 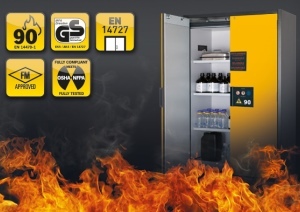 Prize A: We are giving away an asecos Q-Classic-90 safety storage cabinet for unrestricted storage of flammable hazardous materials in working areas as per DIN EN 14470-1 and TRGS 510. 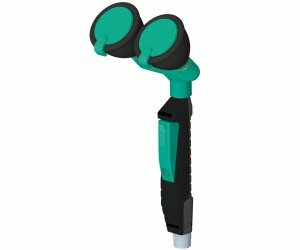 Something to help increase safety at your company! Prize B: You could win a useful brand-name cordless impact screwdriver, an easy to use and extremely versatile addition to your tool kit. We are exhibiting at the NEC, Birmingham from the 9th to the 11th April 2019 on stand no. 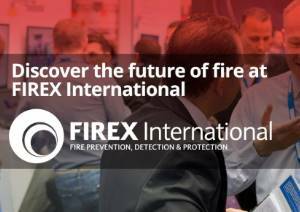 FS220 at the Fire Safety Show – the fastest growing independent UK exhibition for firesafety supported by the fire safety industry's leading trade associations. Together with our partner company Denios Ltd we are presenting live experimental lectures based on the requirements of the Dangerous Substance and Explosive Atmospheres Regulations. asecos and Denios Ltd. are conducting ongoing educational campaign with regards to the storage of hazardous materials. 15 Mär 2019 Only 25 days till asecos turns 25! 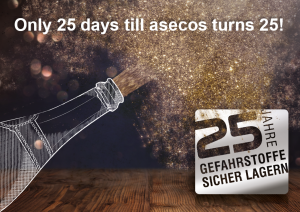 Today, the number 25 is our favorite number: There are only 25 days left until asecos GmbH turns 25! 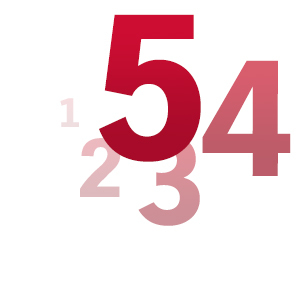 The countdown is on – our company anniversary day is on April 11, 2019. Celebrate with us and take part in our monthly prize draws on www.asecos25.com/en: Each and every month you have another chance to win attractive and valuable prizes in our big jubilee competition for a full 2 years. We look forward to your monthly participation! 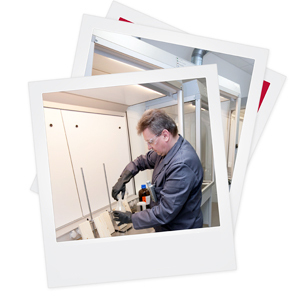 07 Mär 2019 NEW: ION-LINE – safe storage of lithium-ion batteries! 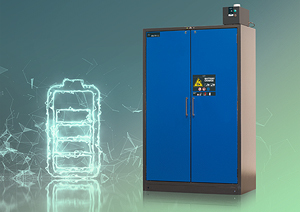 asecos presents ION-LINE: Type 90 safety storage cabinets for active and passive storage of lithium-ion batteries with fire protection from the outside-in as well as from the inside-out! As a pure storage or combined charging/storage option, ION-LINE is additionally equipped with a high-quality 3-stage warning/fire suppression system in the cabinet interior, depending on the model. There is an increased risk of fire and burst from lithium-ion energy sources installed in multiple locations! 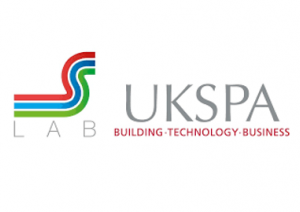 asecos Ltd. are exhibiting at the joint S-Lab/UKSPA Conference and Exhibition, on 2-3 April 2019 at the University of Birmingham. Please also attend our session “Safe Storage of Hazardous Substances and Flammable Liquids in Laboratories” at 15.50 on 2nd April, when Les Day, Regional Sales Manager, will be providing updates on relevant regulations and standards, especially BS EN 14470 and why the UK needs to raise its game to match good safe storage practice in Europe. 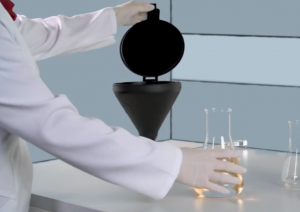 The safe and convenient disposal of solvents in laboratories and in the industrial field makes high demands on the safety technology used. The video shows a perfect system, consisting of a range of Type 90 under bench cabinets with integrated disposal systems. 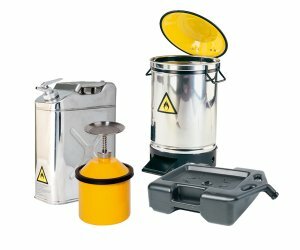 The modular disposal system components, in combination with a matching Type 90 safety storage cabinet, form a complete disposal unit. Solvents can be directly dis-posed from the workplace via hose or pipe systems into the disposal canister inside the storage cabinet. In January 2019, we will be giving away a 55-inch LED TV! Whether purely for entertainment or for presenting company video content, don’t miss your chance to win a new LED TV for your company! Until March 2020 each month a new top prize is waiting for you... that means: each and every month you have another chance to win. Best of luck! 07 Dez 2018 New main catalogue 2019/2020 is now available! 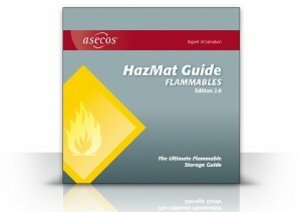 asecos released its new English version of the professional storage and handling of hazardous materials catalogue. Featuring more than 2,500 items, the 568-page, full-colour glossy catalogue is a complete safety resource guide for General Industry, Academic, Science and Research Sectors. 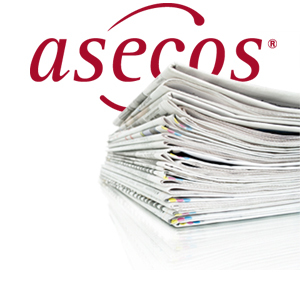 In 2019 asecos is celebrating its 25 year anniversary, browse the special anniversary edition online! Dear asecos partners and friends, 2018 will be finishing shortly. Thank you very much for a great cooperation and for your trust in our work. We wish you and your family Peaceful Holidays and a Merry Christmas! We look forward to 2019 with you – Happy Holidays and a prosperous New Year! From all of us at asecos. 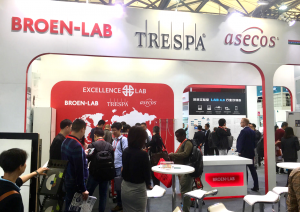 asecos concluded a successful analytica China show in Shanghai from October, 31 - November, 02, together with our Excellence4Lab partners Trespa and Broen Lab. We would like to thank all visitors for their interest in asecos and especially our business partners and customers for their loyalty and the great conversations. Many guests visited not only our booth, but also attended the asecos live experimental lectures about the proper storage of hazardous materials. 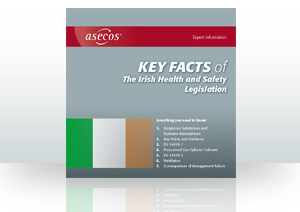 The new information brochure provides a summary of the current Irish Health and Safety legislation and how to increase the safety in your firm or organisation through risk assessment and safe storage of dangerous materials. 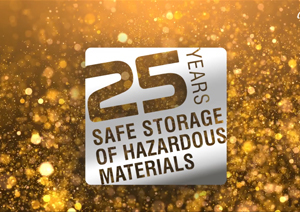 Meet the asecos experts for storage and handling of hazardous materials at our booth no. 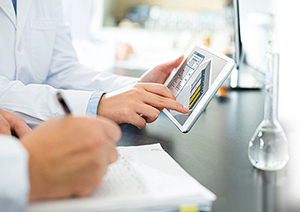 1102 in hall E1 on the international trade fair for laboratory technology, analysis, biotechnology and diagnostics. 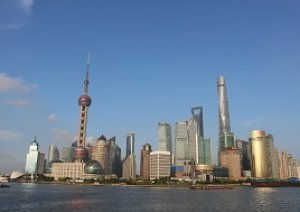 Additionally asecos presents daily lectures "Storage of hazardous materials in 21st century laboratories” within the analytica China congress programm ”China Int'l Congress on Laboratory Planning, Construction and Management” at the congress area LIVE LAB in E4. 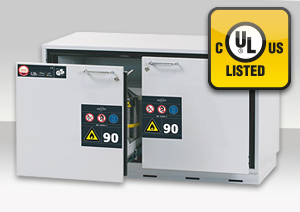 Over 20 asecos under bench safety storage cabinets for flammable substances have been tested according to UL standard 1275 and ULC /ORD – C1275-84-standard. UL is one of the few companies that have an OSHA approval (Occupational Safety and Health Administration) as a ‘Nationally Recognized Testing Laboratory’ and manages numerous state-recognised test laboratories. This organisation, which has its head office in the state of Illinois/USA, checks whether the components, materials and systems satisfy safety-related requirements. Our Show Truck at booth no. 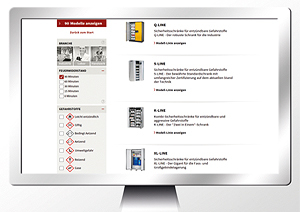 L1.011 offers attractive and practical advice in the range of professional storage and handling of hazardous materials – live and on-site at Arbeitsschutz Aktuell, October 23-25, 2018, in Stuttgart. We are pleased to offer you a free ticket, be our guest! 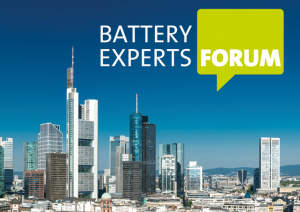 Also visit our live experimental lectures at the Messe Forum: the asecos experts will examine the risks when dealing with hazardous materials in industrial surroundings, workshops and laboratories. 13 Aug 2018 Win a practical lifting-table carts for loads of up to 150 kg! Ideal for lifting, positioning and transporting heavy materials: now in August on www.asecos25.com/en, you could win a practical lifting-table carts for loads of up to 150 kg! 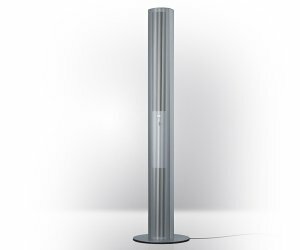 Lightweight and easy-to-operate, it is ideal for integration into a diverse range of working processes around your workplace. The cart has a high load capacity and can be height adjusted via a hand lever. 26 Jul 2018 Air purifying systems by asecos: explore our new smoke & talk website! 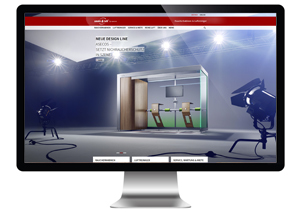 We are delighted to be able to invite you to explore our new website for smoking cabins and air purifiers. With a new design, and having completely revamped the content of the site within a more intuitive structure, you can find improved information regarding our services and product solutions in the fields of non-smokers protection and air purification. Visit the new website now! 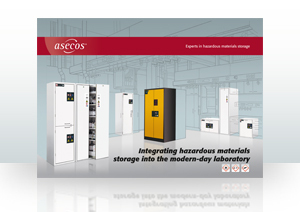 Integrating hazardous materials storage into the modern-day laboratory: the new asecos brochure comprises 32 pages and is aimed at laboratory planners, architects and laboratory furniture manufacturers. 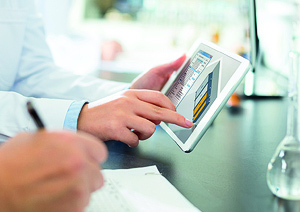 The Laboratory Guide complements our media service for planners on www.asecos-specs.com. Improve work safety! 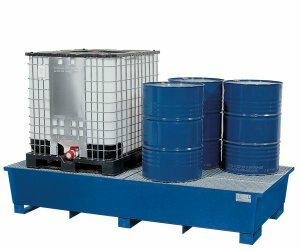 In July 2018, you could win a steel sump pallet with a collection volume of 220 litres. 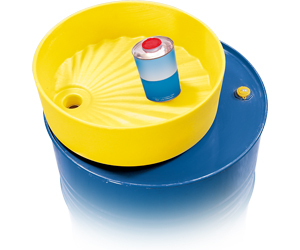 With its compact and robust build quality, the pan has been approved for storage of substances that might be hazardous to aquatic environments or flammable liquids of any hazard class, making it ideal for ensuring safety in your workplace. After five inspiring days at the ACHEMA 2018 in Frankfurt/Germany we look back to a successful and pleasant show! We were overwhelmed by the positive reactions to our latest innovations and by the amount of people that visited our booth. This short video will give you a few impressions of our booth at the ACHEMA 2018. We would like to thank everyone for visiting our booth over the last few days! See you in 2021! 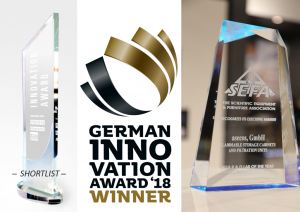 asecos has experienced a literally 'excellent' week – we received two awards and a shortlist certificate: The asecos V-LINE received the German Innovation Award 2018 and further landed on the shortlist for the ACHEMA Innovation Award 2018. In addition, asecos received as supplier of the CJ Blossom Park Project – the Research and Development Laboratory of the Year 2018 – an Award from SEFA (The Scientific Equipment Furniture Association). 07 Jun 2018 Have you ever driven a scooter trolley before? It's fun and super practical! Now in June, asecos will be giving away a scooter trolley for in-house transport, an effective solution for transport of a range of different work materials over longer distances: save both time and effort. The scooter trolley is easy to use and means you’ll be able to transport light- to medium-weight objects during your day-to-day working activities. 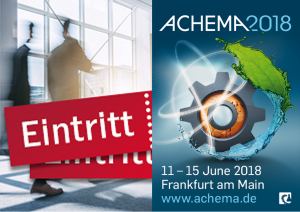 15 Mai 2018 Get free tickets for ACHEMA in Frankfurt! 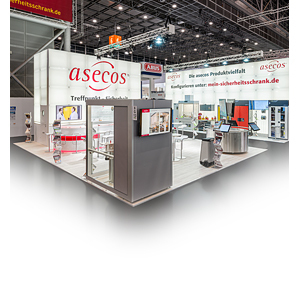 Visit asecos at the world forum and leading show for the process industries in Frankfurt, Germany (11th - 15th June 2018). We welcome you at our booth no. A 77 in hall 4.1. 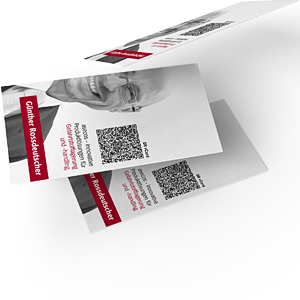 We are pleased to offer you a free ticket! We also invite you to visit the lecture “How to identify and mitigate possible fire risks in your lab”. The lecture by asecos will examine the risks when dealing with hazardous materials in laboratories – it will take place at “PRAXISforum Safety first!” and is held in English language on Tuesday, June 12th, 2018, 11:10 a.m. / room H9.1 Esprit. 09 Mai 2018 In May 2018 we will be giving away a high-resolution projector! 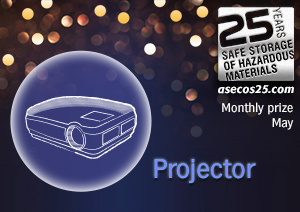 asecos is celebrating its 25 year anniversary – join our monthly prize draws now: in May we will be giving away a high-resolution projector for the use e.g. in your conference suite or meeting room to experience meetings with professional visual effects. The projector comes equipped with cutting edge media technology and offers a perfect solution to ensure professional presentations. Best of luck! Accidents in the workplace can never be completely avoided: however, people working with chemicals can avoid certain risks by constantly maintaining the required level of expertise and being sure to always exercise caution. 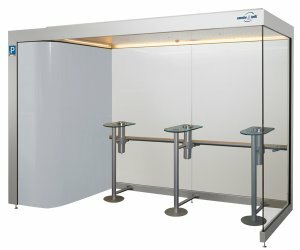 As Europe’s leading manufacturer of safety storage cabinets, asecos has for many years acted as a consistent source of information through its awareness campaign on protective and preventative measures for the safe handling of chemicals: in this way it has made a valuable contribution to health and safety in the workplace. 18 Apr 2018 asecos is turning 25 and will be giving away 25 great prizes! 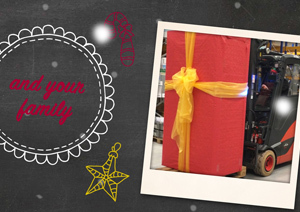 Celebrate with us and take part now in our monthly prize draws! Over the next 24 months, from April 2018 until March 2020, we will be giving away a total of 25 great prizes. Each and every month you have another chance to win! 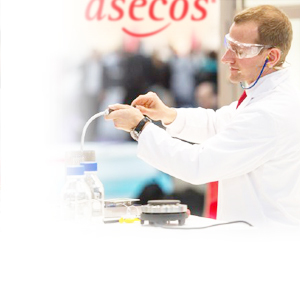 asecos concluded a successful ArabLab show in Dubai from March, 18. 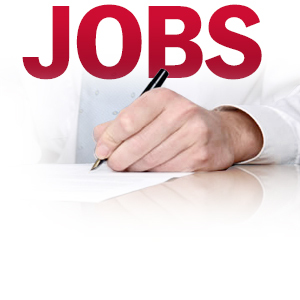 - 21., one of the largest annual trade shows in the world for laboratory science & instrumentation. 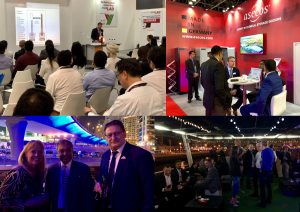 We would like to thank all visitors for their interest in asecos and especially our business partners and customers for their loyalty and the great conversations at our booth, seminars and events. As an AEO (Authorized Economic Operator), asecos is from now on certified as a particularly reliable and trustworthy economic operator and thus completely officially offers protection for the integrated international supply chain from the manufacturer to the end user. 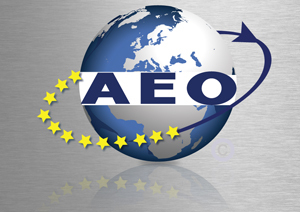 The AEO C status provides entitlement to concessions in the case of security-relevant customs controls or simplifications in accordance with the customs regulations – all for an efficient customs procedure which is in the interests of international asecos customers. 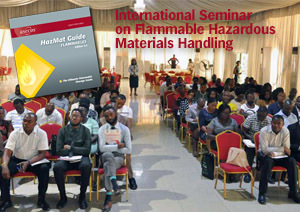 Lasec – as an African supplier of many internationally recognised brands of scientific and laboratory equipment – hold a free international seminar on hazardous materials, knowing and avoiding risks. The asecos trainer Victor Menezes from the Lasec International Division gave the presentation in front of an audience of more than 150 people representing firms in manufacturing, oil and gas, construction and chemicals. 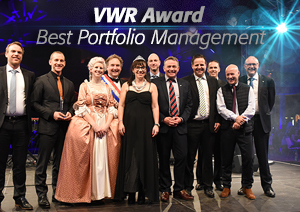 At the great supplier award ceremony asecos received the VWR award for Best Portfolio Management 2018 at the European Sales Conference in Dresden, Germany. Thanks for a great cooperation and for the trust in our work! 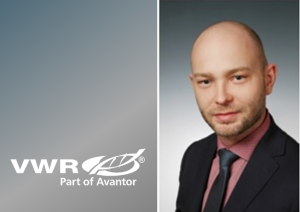 VWR, part of Avantor is one of the leading global, independent provider of product and service solutions to laboratory and production customers, enabling science for customers in the pharmaceutical, biotechnology, industrial, education, government and healthcare industries. 04 Dez 2017 Video: Season's Greetings from asecos! Dear asecos partners and friends, 2017 will be finishing shortly. Thank you very much for a great cooperation and for your trust in our work. We wish you and your family Peaceful Holidays and a Merry Christmas – we look forward to 2018 with you! 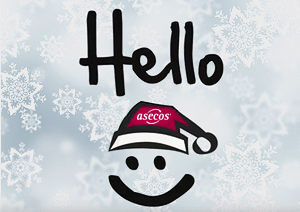 Happy Holidays and a prosperous New Year from all of us at asecos! 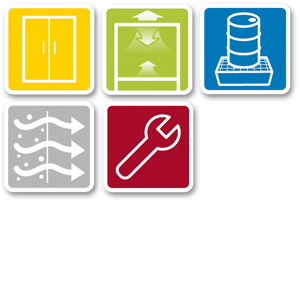 Explore the asecos data platform: technical specifications, CAD drawings, BIM content, images, tender specifications, manuals, certificates and test reports on our products are available on our data platform. We provide support in the planning of hazardous material storage – architects and planners can use our media service to download all relevant data easily and quickly. 06 Nov 2017 Follow us on Facebook! Now new: updates on the storage of hazardous substances, product innovations and events as well as news from the "asecos internal" area can be found on our Facebook page! Feel free to share the postings that you especially like or provide us with suggestions and comments. And: naturally, we are happy about every ‘like’! 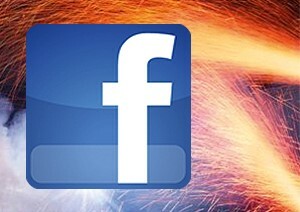 Even if you are not registered with Facebook you can, of course, visit and read our page. Drop in and have a look! 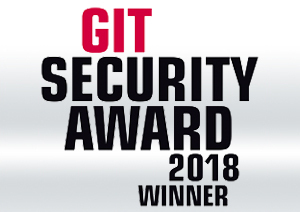 23 Okt 2017 V-LINE is among the winners of the GIT SAFETY AWARD 2018! Thank you for your votes! Many of you have voted for the V-LINE and thus catapulted asecos' latest hazardous material cabinet to one of the front ranks of the GIT SAFETY AWARD. In the category Fire and Explosion Protection, Industrial Safety our Type 90 safety storage cabinet with innovative vertical drawer technology was ranked in 2nd place. We warmly thank all partners and fans for the great commitment! In regions that are prone to earthquakes it is especially important that flammable liquids are stored safely and protected from shocks. 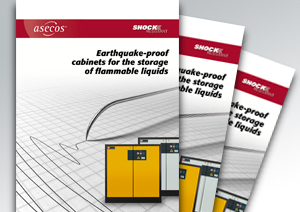 In the event of a fire caused by an earthquake, the safety storage cabinet Q-SR-90 ShockResistant prevents the liquids stored inside from fuelling the fire. In many regions around the world there are areas that are prone to earthquakes. The new asecos brochure, available now, explains what points should be noted. 10 Okt 2017 Special credit rating: renewed Creditreform-award for asecos! 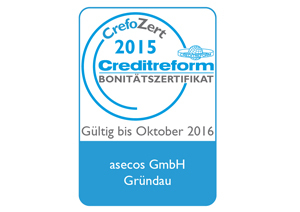 The leading ratings agency, Creditreform Hanau Lukas KG again awards this year the coveted credit rating certificate, "CrefoZert" to asecos. 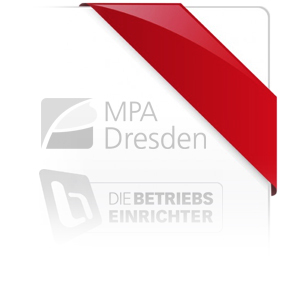 Already for the fourth time, our company has received this certificate of a literally "excellent" credit rating. 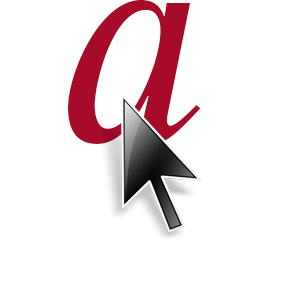 asecos is thus one of the 1.7 percent of German companies which is characterized by an exceptionally good credit rating. 09 Okt 2017 UK stock clearance sale! 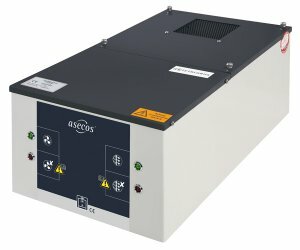 asecos is the leading manufacturer and supplier of BSEN14470 cabinets in the United Kingdom. We currently have some excess stock of cabinets. These are located in the UK and Ireland, stocks are limited, there are additional discounts available. 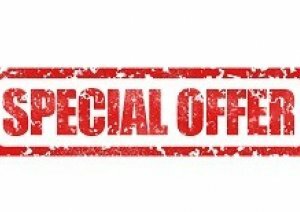 We are offering a 10% discount on selected products until 31st October 2017. 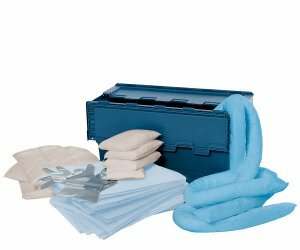 If you would like to know more and wish to view the offer you can download the full list of defined products. The construction of the new administrative complex, which has been in construction to the west of the two existing office buildings since April, is already well advanced. The modern construction will offer on four levels a total surface of about 1,600m². 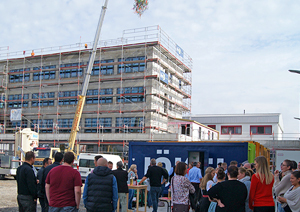 We are looking forward to it - and have welcomed the new building with a successful topping-out ceremony. asecos as a gold sponsor of the international conference and exposition for laboratory science likes to thank everybody for their attendance and contribution to make this event possible. 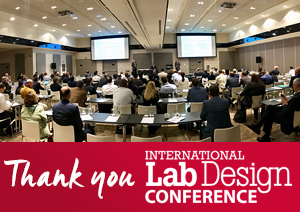 The 1st International Lab Design Conference in Madrid was successful and the sessions were very well attended. We thank all participants for coming! Visit asecos at A+A the international trade fair for occupational health and safety in Dusseldorf, Germany (17th – 20th October 2017). You will find us in hall 6, booth no. G13 / G17. 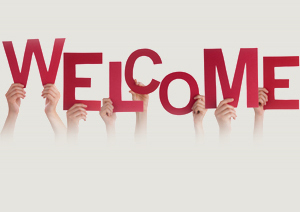 Be our guest – we are pleased to offer you a free ticket! 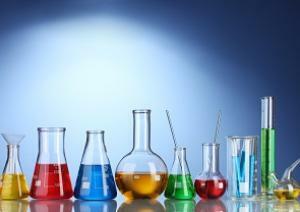 We also welcome you to our daily seminar “Safe handling and storage of hazardous substances”. 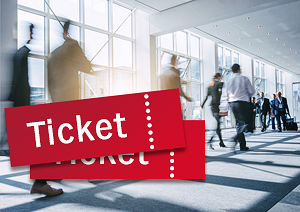 It takes place at the Trend Forum Safety & Security in Hall 11.
asecos Ltd. is pleased to announce the membership of the British Safety Industry Federation (BSIF) and their Registered Safety Supplier Scheme (RSSS). 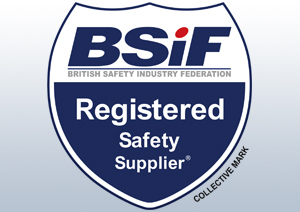 BSIF is UK´s leading trade body within the safety industry and provides support and guidance on a wide range of occupational safety issues. asecos concluded a successful Lab Africa show in Johannesburg / South Africa together with our partner LASEC. 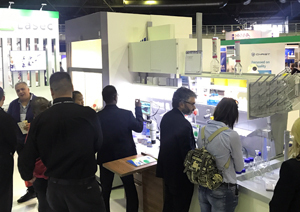 The event has become an icon in the South African Laboratory calendar. 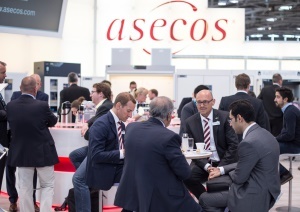 We would like to thank all visitors for their interest in asecos and especially our business partners and customers for their loyalty and the great conversations. 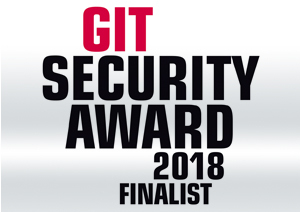 Your vote counts from June 1st 2017: A neutral expert jury has selected the V-LINE hazardous material cabinet type 90 with its electronically motor-controlled vertical drawer technology as a finalist for the GIT SECURITY AWARD. 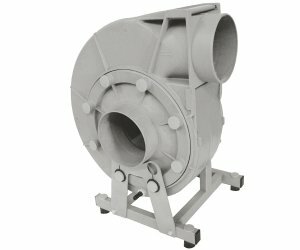 The most recent innovation product from asecos is nominated in the category Fire and Explosion Protection, Industrial Safety. Your vote for the V-LINE would be much appreciated! 03 Mai 2017 Building a new office complex: It’s starting! asecos continues to grow at its headquarters in Gründau – preparatory dredging work for constructing a new office complex has begun. 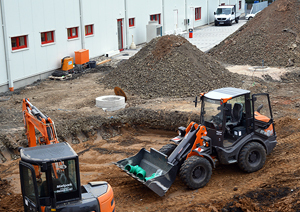 The new building with a usable area of more than 1,600 square meters is being built right next to the already existing two administrative buildings. 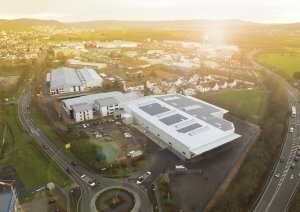 Completion is planned for the summer 2018 - then the new, modern work places as well as further training and conference rooms can be put into operation. 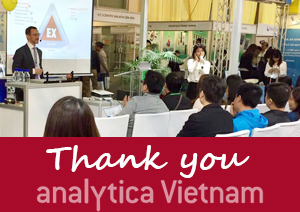 asecos concluded a successful analytica show in Hanoi. 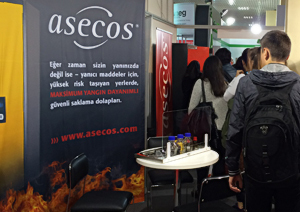 Many guests visited not only the asecos booth, but also attended our daily live experimental lectures about “Lab safety in the workplace". We would like to thank all visitors for their interest in asecos and especially our business partners and customers for their loyalty and the great conversations. 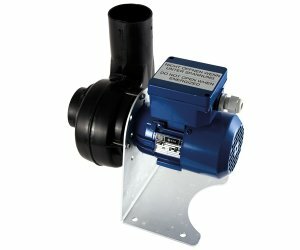 Fire protection requirements have become more and more demanding. 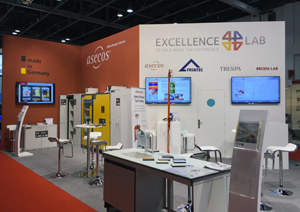 asecos as market leader in the range of safety storage cabinets shows their modern and safe solutions for decentralized storage of hazardous materials at ArabLab in Dubai. 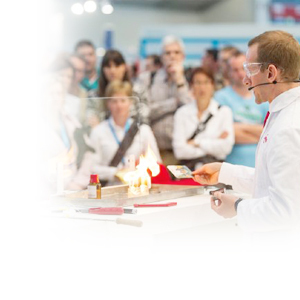 This event will also give you the opportunity to visit the asecos seminars "Storage of Flammables in 21st Century Laboratories" on 20th & 21th March. The new information brochure provides a summary of the current British Health and Safety legislation and how to increase the safety in your firm or organisation through risk assessment and safe storage of dangerous materials. 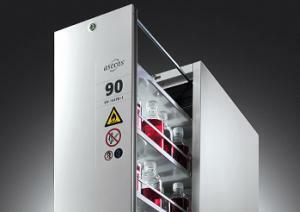 asecos presents the first safety storage cabinet with vertical drawers controlled by electromotor. The innovative technology and newly defined cabinet dimensions make the V-LINE a real "space-saver" for the laboratory and industrial sector. 05 Dez 2016 Merry Christmas – video greetings from asecos! The year 2016 is coming to an end and we would like to say thank you. Thank you for the exceptional cooperation. Thank you for your trust and loyalty. Thank you for the inspiring conversations. We wish you and your family a wonderful Christmas and a Happy New Year. From all of us at asecos. 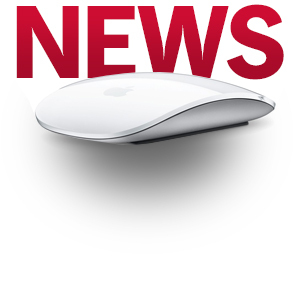 We are pleased to announce that we have an addition to our UK Sales Team. Mr Les Day will be managing the Southern Region of the United Kingdom and is commencing his role on 1st December this year. He is based in Birmingham and will be available to work jointly with you on providing storage solutions for you and your clients. 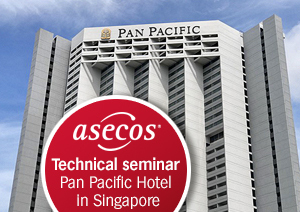 On 24th November asecos together with the Excellence4Lab partners Trespa and Broen hosted a technical seminar at Pan Pacific Hotel in Singapore. The sessions were very well attended and we thank all participants for coming. A new milestone has been reached in the asecos story: today, on 25 November 2016, the Production Dept. manufactured the 250,000th safety storage cabinet since the founding of the company. The celebration cabinet is a yellow Q-Classic-90 from the successful Q-LINE series, which has been on the market since 2011. The management is very proud of this milestone and wishes to say a very big thank you to every employee for an exceptional team performance. 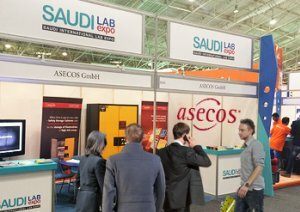 asecos concluded a successful Saudi LabExpo show in Riyadh. The 2nd Saudi International Lab expo 2016 showcased the latest laboratory and instrumentation equipment and technologies. We would like to thank all visitors for their interest in asecos and especially our business partners and customers for their loyalty and the great conversations. asecos concluded a successful TurkChem show in Istanbul, Eurasia’s largest and most comprehensive chemical industry platform. With more than 11,700 professional visitors from 50 different countries the event was well attended. 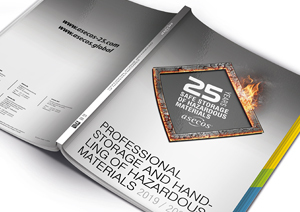 The new edition contains a wide range of expert information with regards to professional storage and handling of hazardous materials: Including terms and definitions, different types of storage, advantages of a fire resistant safety storage cabinet, technical ventilation and many more subjects. asecos presents safety storage cabinets for unrestricted storage of flammable hazardous materials and of pressurised gas cylinders in work areas at the 9th Analytica India. 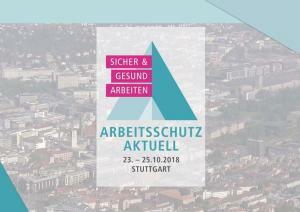 This event will give you the opportunity to take a look at our products and visit the special show on occupational safety with daily live experimental lectures by asecos. Meet the asecos experts for storage and handling of hazardous materials at our booth no. N3 3402 on the international trade fair for laboratory technology, analysis, biotechnology and diagnostics. Additionally asecos presents daily live experimental lectures on occupational safety at the Lab safety area N3 3672. 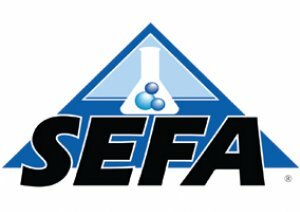 Since 2014 asecos is member of the Scientific Equipment and Furniture Association (SEFA). The association combines organisational, technological and environmental systems that respond creatively to strategic business issues. as well as further training and conference rooms. 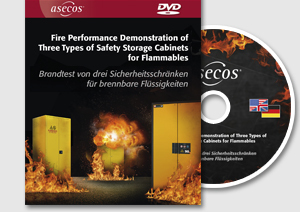 28 Jun 2016 Order now for free: DVD "Fire Performance Test"
The latest asecos video "Fire Performance Demonstration of Three Types of Safety Storage Cabinets for Flammables" is now available on DVD. The film is highly suitable for training purposes and more. We will gladly send you the DVD for free. Come and visit asecos at the international trade fair for fire prevention, detection & protection. asecos will be exhibiting from the 21st to 23rd of June 2016 on booth G33. Our seminar “Storing flammable substances – the safe way” takes place at the FPA Infozone on June 22nd at 1300hrs to 1400hrs. 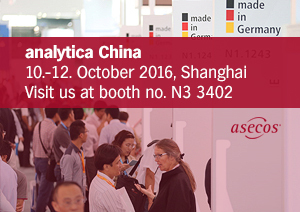 18 Mai 2016 Numerous good dialogues with our partners and customers: successful analytica 2016! 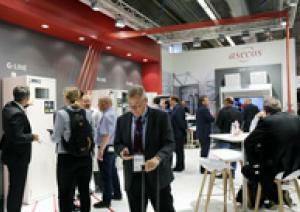 asecos achieved great results at this year’s trade fair appearance at the anlytica in Munich and would like to thank all those who visited the asecos booth there. We are also happy about more than 1,500 visitors who experienced our live experimental lectures. 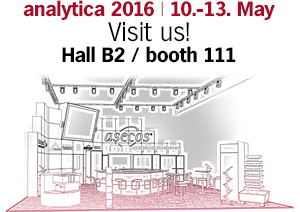 26 Apr 2016 analytica munich starts soon! Meet the asecos experts for storage and handling of hazardous materials at our booth on the international trade fair for laboratory technology. 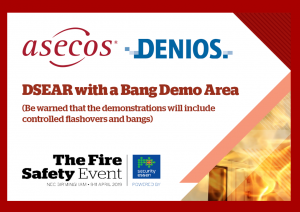 Special highlight: asecos is the official partner of the special show occupational safety / health and safety in the workplace in hall B2 and presents three daily live experimental lectures. 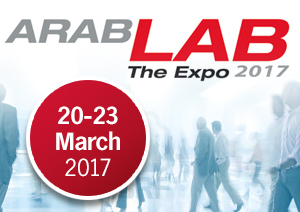 asecos concluded another successful ArabLab show in Dubai. With more than 10,000 visitors from over 100 countries the event was well attended despite the rather negative economic outlook in Middle East. 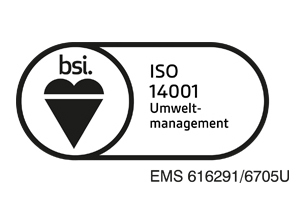 In the context of its voluntary commitment to environment management, asecos has received ISO 14001 certification. 08 Mär 2016 And action…! 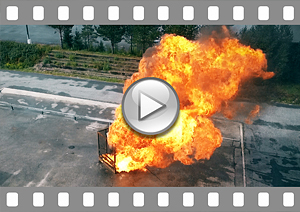 In the latest asecos video 3 types of safety storage cabinets with different safety standards have been tested. 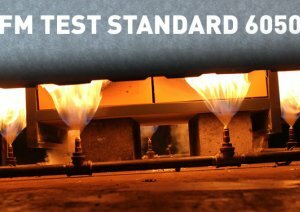 The result of the test shows crucial differences between the safety standards. 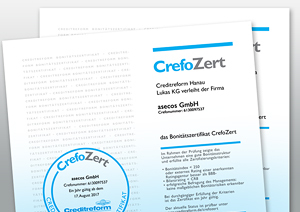 Once again, the leading credit rating agency Creditreform Hanau Lukas KG has given the coveted creditworthiness certificate "CrefoZert" this year to asecos. asecos Type 90 safety under bench cabinets are available with even more comfort and safety in daily use. 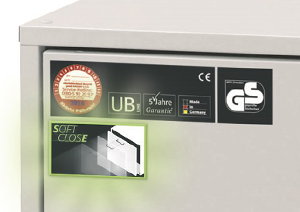 All models with drawers are available with the new asecos SOFT-CLOSE technology. Using the new online tool you can individually plan your safety storage cabinet including the interior equipment, dimensions and design – the desired product is then subsequently visualized and a quotation and be directly requested. 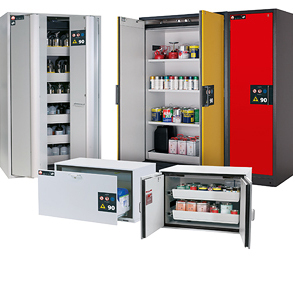 asecos presents a new range of safety cabinets approved and certified according to FM standards. For the upcoming year 2016, Manuel Grimm from asecos Germany will support the UK team. Since we partnered up with the US leader in safety cabinets JUSTRITE the EN 14470-Technology is now readily available for our US customers. 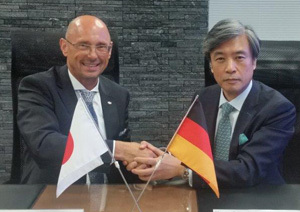 asecos is delighted to confirm the newly established partnership with Yamato Scientific. Yamato will be our VIP partner for Japan in future. 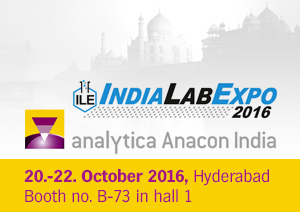 The first-time participation in the Analytica India 2015 was a great success! asecos exhibited together with Waldner laboratory equipment and was honoured with a prize for the joint lecture on “Laboratory setup". 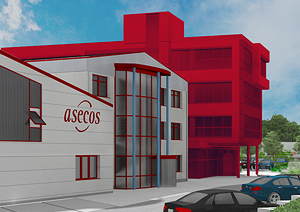 28 Aug 2015 asecos is expanding! 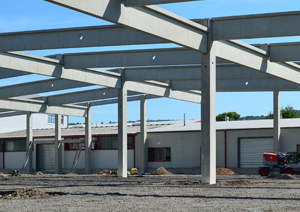 On an area of just under 5,000 m², asecos is currently expanding its floor space with an additional production hall in reinforced concrete design. Safety storage cabinets are to be made, inspected and made available for dispatch here in future. Second place in the INCA Award for the asecos image film shows that a good image film needs no words if the right chord of the viewer is struck. See for yourself! 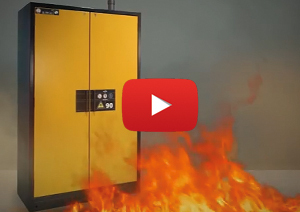 What happens with a safety storage cabinet in the event of a fire? 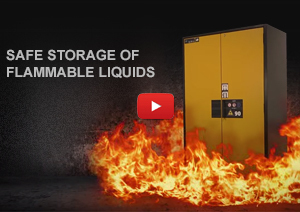 The new video demonstrates the safety features of an asecos type 90 fire rated safety storage cabinet according to the European standard EN 14470-1.